This kitty has possibly the best Pet of the Week name I have heard yet - Cheddar. Imagine the fun you could have with that... "Pass the Cheddar!"... holiday cards of him laying amongst crackers. And Cheddar is a tripod! 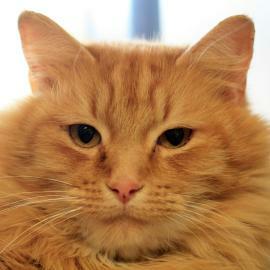 Cheddar deserves a nice new home for 2010, so if you have one for him go and pick up the cheese!